Applicants who have completed Any Graduate or equivalent from a recognized Institute for NHAI Recruitment 2018. GET FREE JOBS ALERT ON WHATSAPP. SAVE THIS MOBILE NUMBER (7048720354) ON YOUR PHONE AS JOBS ALERT. 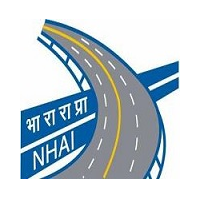 NOW SEND WHATSAPP MESSAGE "ADD ME & YOUR STATE NAME"
Eligible & Interested candidates can apply via online in Official website page at www.nhai.gov.in NHAI Recruitment 2018. Take a print out of NHAI Recruitment 2018 online application form.